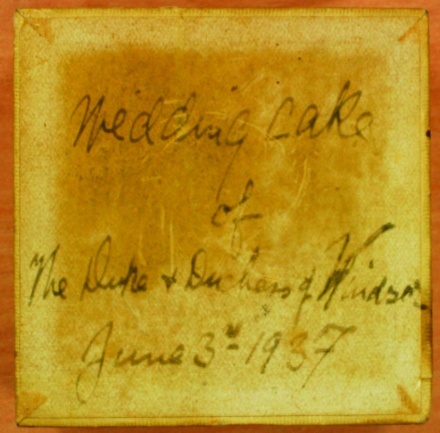 Found at Vintage Seekers: a small box containing a piece of cake from the royal wedding of Wallis and Edward Windsor on June 3rd, 1937 at the Chateau de Candé in Touraine, France. Only £1,500.00. Available here, if you were so inclined. An interesting find …. but a little out of my price range! Right? And what exactly would one do with a piece of cake from 1937, famous or not? You are currently reading Let Them Eat Cake at Quite Continental.